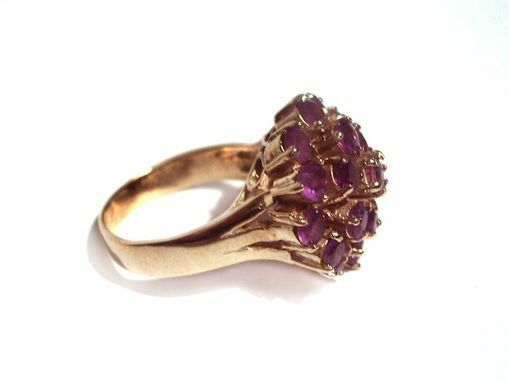 This ring comes as an inspiration from my 4th jewelry collection of all cocktail rings, since they are popular now in New York. 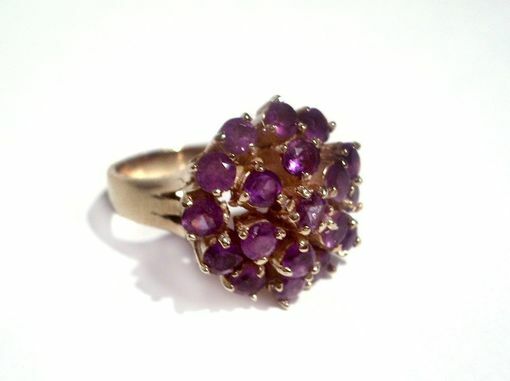 Made of sterling silver, a double plating of 18 kt yellow gold vermeil, and 19 faceted amethyst. 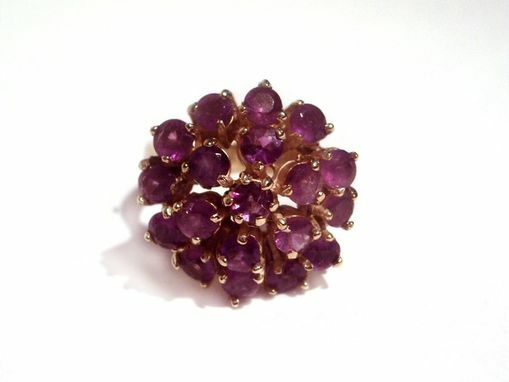 The round cluster is comprised of 19 3.5mm faceted amethyst, one in the center, 6 on the middle layer, and 12 around the base. 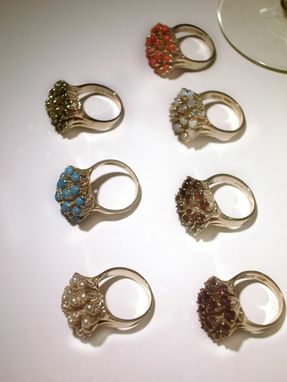 Upon ordering please let me know of your size! 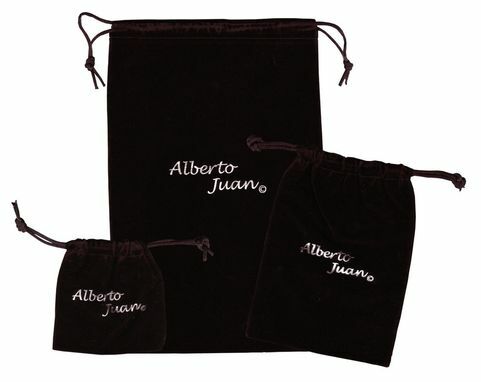 All Alberto Juan jewelry comes in a protective Velvet black bag also shown in the listing.